Super Mario Frubes have become a reality, with Nintendo UK having today announced that they have teamed up with Yoplait to promote their iconic characters on the packaging of their Petits Filous Frubes. Nintendo fans will discover Mario, Luigi, Toadette, Baby Peach, Waluigi and Wario making an appearance on the Vanilla flavour, while the Strawberry variety will see Bowser Jr., Peach, Baby Luigi, Baby Mario, Super Star, Koopa Troopa, Daisy, Yoshi, Bowser, Goomba and Boo leap into action. 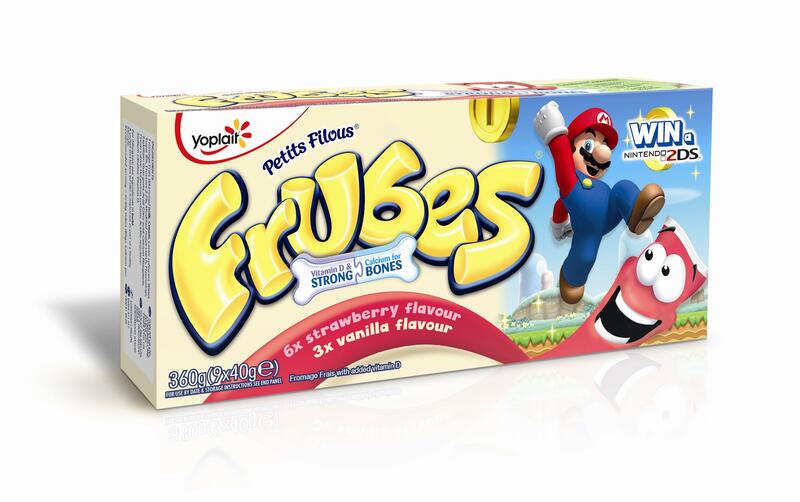 This promotion has now launched and will run up until 30th April 2015, with each pack of Petits Filous Frubes containing a secret code that you can enter to win prizes that range from Nintendo 2DS systems to Nintendo goody bags – with such codes needing to be redeemed on the Super Mario Frubes website. where do I put the code in ? Hi Rawson, you just need to put the code in on the Super Mario Frubes website!